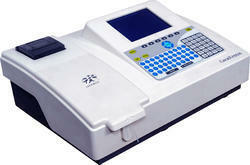 We are engaged in offering well processed Semi Auto Biochemistry Analyzer to our patrons. This kit is used for measuring enzyme activity in lysate from whole red blood cells. 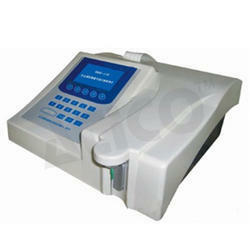 • SB 251 is the latest innovative semi automated biochemistry coagulation Analyzer. -Large color LCD display with adjustable screen. - delay & reading time: programmable, 0-999seconds. - Qc: QC results stored in memory automatically, QC plot printable. Under the supervision of our experienced professionals, we are providing high quality range of Semi Automatic Biochemistry Analyzer. The automated, discrete BIOBASE-CRYSTAL Automatic Biochemistry Analyzers are the random access styles produced by Jinan Biobase Biotech CO., Ltd, with the characters of moderate analysis speed, no cross contamination, little consumption and reagents open to the outside. The biochemistry analyzer with the latest software provided by our company and computer is helpful in building a biochemistry workstation. It can complete comprehensive report, tracking report, statistic report and quality control for any item and also research and output function.